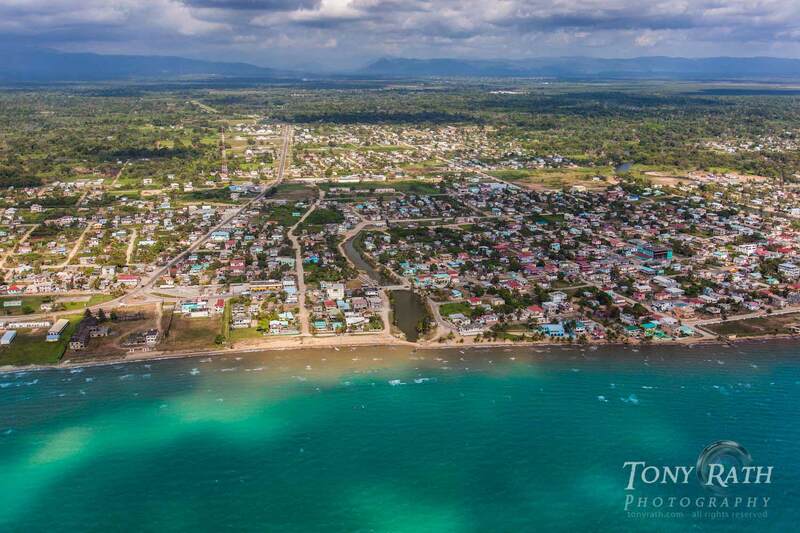 This is where I live and work - beautiful Dangriga. To the back you can see the Stann Creek Valley denting the foothills of the Maya Mountains. The North Stann Creek River is just visible in the upper half of the right part of the photo. Chocolate brown Havana Creek in the middle of the photo is a flood channel full of fish, shrimp, turtles, birds and an occassional crocodile. The brown along the shore is shallow water - you are seeing the sandy bottom, not muddy water. The white caps are evidence of the NE Trades which blow 80% of the time.